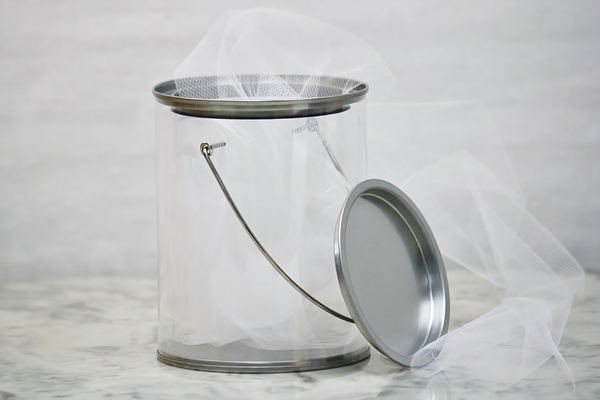 These clear paint cans are perfect for crafting and can easily be decorated and transformed into an attractive gift basket. Add an electric candle and some colored tulle to make a unique lantern. They are just right for any creative project you can think of! However, this can is not watertight. 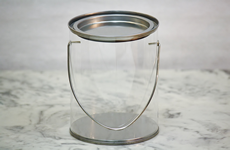 As such, these paint mixing cups are a better choice for storing paint. We also offer a heart-punched bucket for a little variety.